An excellent book, compelling and informative. Few American battles have been the object of as much discussion and popular fascination as the Battle of the Little Big Horn. Yet after more than a century, a great number of questions remain unanswered. Many are destined to remain so. No white man survived to tell the tale, Indian accounts are inconsistent, and contemporary reports are distorted by political considerations. Charles K. Hofling, however, provides fresh insight to the events of June 1876 by exploring them from a unique perspective. 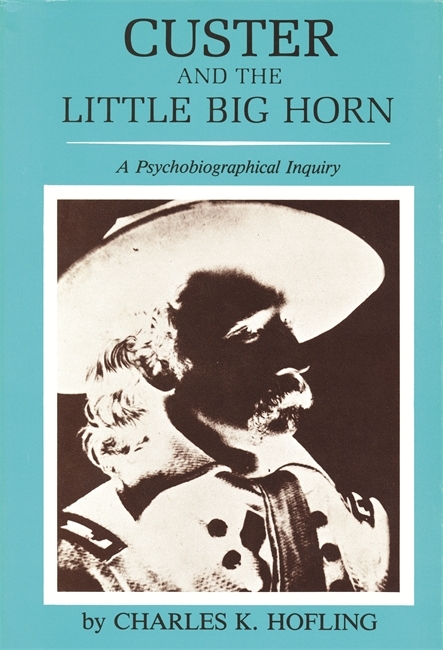 Concluding that discussions of military tactics and strategy are not sufficient in themselves to explain Little Big Horn, Hofling turns his attention to the psychological context in which Custer operated in order to understand the decisions which produced his final disaster. Examining Custer's personal and military life, Hofling isolates those episodes of psychological significance which suggest personality traits which would account for Custer's behavior before and during the battle. Dr. Hofling published extensively on medical-psychiatric and literary-historical topics. He was actively interested in the fields of western Americana and psycho-history, and was chairman of the Task Fork on Psychohistory of the American Psychiatric Association from 1973 to 1976. This volume is his only full-length psychohistorical study. Expertly written, compelling in argument, and endlessly informative.